Lemon Tablecover is a disposable tablecover in a fresh lemon in colour all over and will fit a large buffet or party table. 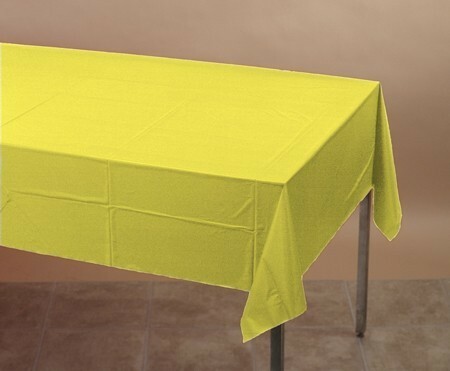 It has a soft paper tissue top with a plastic backing in order to protect your table from moisture. 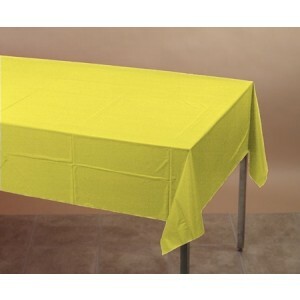 Ideal for outdoor parties, to cover your own table as well as finishing off your co-ordinated look to your theme.